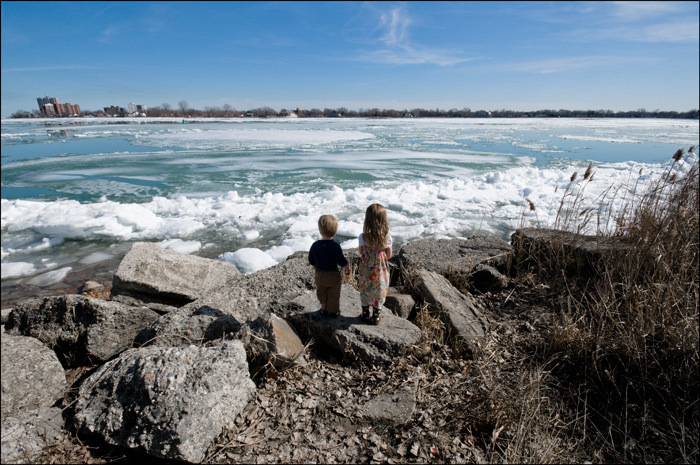 The other day we went to the eastern shore of Belle Isle to watch the ice break; it was beautiful and intense and we stared wide-eyed at each other at the sounds the ice made smashing along the shore and against the buoys. 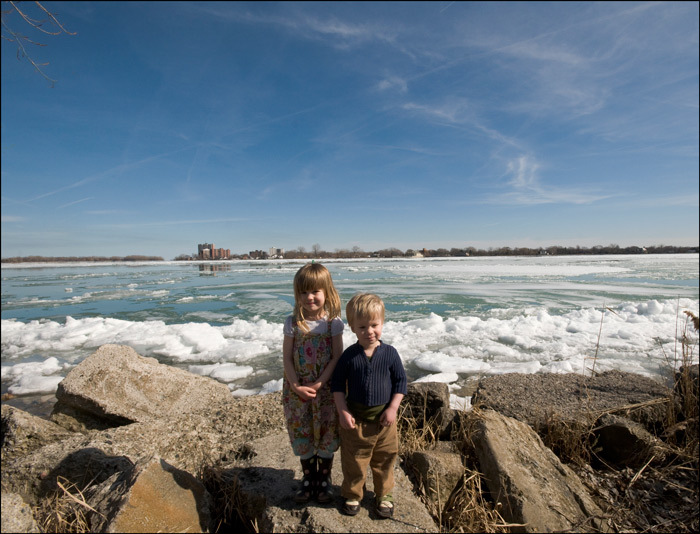 Here they are watching for the polar bear I promised might float past. The winters here are tough, but it's hard to imagine a Spring day feeling this good in California. These images are Copyrighted. No unauthorized reuse.